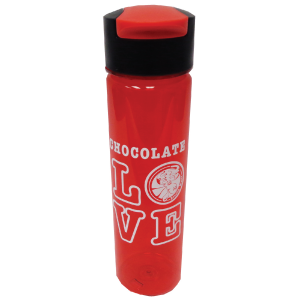 Need a simple water bottle that shows your LOVE of chocolate? This bottle is 24 oz, Durable Tritan material, screw on lid with spill-resistant Flip-Top Lid. Hand wash recommended.